If you are looking for business management colleges in Jackson, MS, look no further than Antonelli College. We have an Associate of Applied Business Degree in Business Management program that you could enroll in on our Jackson campus. When you choose to sign up for the business management degree program on the Jackson campus, you will receive a high-quality education. Our class sizes are small, ensuring that you receive the individual attention you deserve from your instructors, as well as the staff of professionals that work for Antonelli College. We want to make sure you learn all that you can through the classroom instruction and training you receive while enrolled on the Jackson campus. 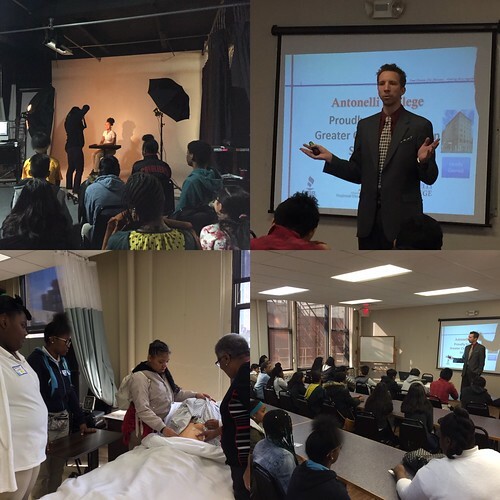 Our mission is to try and make your educational dreams come true! The business management degree program available at our Jackson campus will generally take 24 months to complete; this will depend on the student’s schedule. The instructors that are teaching this degree program at Antonelli College have real-life experience in the business world, and they bring that knowledge and skill into the classroom. You will also receive hands-on training that could be of use when you are placed in real-life work settings. The Associate of Applied Business Degree in Business Management program available at Antonelli College was designed to help students prepare for a variety of careers within small business and corporate settings. The courses that you take while attending classes on our Jackson, MS campus will help prepare you for a variety of positions, including those working with CEO and Presidents of businesses and organizations around the world. The salary for individuals working in the business management industry will vary, depending on the location of the job, the type of career, and the current state of the economy. The salary for someone with an associate degree in business management could range from $29,000 to $67,000. To learn more about the Associate of Applied Business Degree in Business Management program on our Jackson, MS campus, give us a call today. A representative from Antonelli College will provide you with information pertaining to the degree program, as well as our Jackson campus enrollment process.